6. You have to lose many a battle to win the war. This Winston Churchill quote is always quoted by Jhunjhunwala. Balance fear and greed. 7. Never react and change your investment decisions according to daily business news. Panic selling is a bad habit. 8. Hastily taken decisions always result in heavy losses. Take your own time before putting money in any stock. 9. Invest in companies which have strong management and competitive advantage. 10. Stock markets are always right. Never time the markets. 11. Opportunities will come and go. Are you prepared to grab them? 12. Never invest at unreasonable valuations. Never run for companies which are in limelight. 13. Passionate investors always make money in stock markets. You will never fail in any work if you do it with passion. 14. Means are important. Read and analyse the available information with an open mind and look for opportunities. 15. Prepare for losses. Losses are part and parcel of stock market investor life. Learn from mistakes. Learn to take a loss. 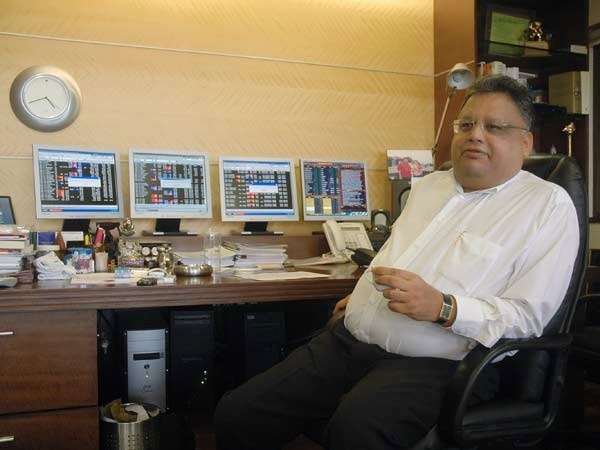 Disciplined passionate investors like Rakesh Jhunjhunwala are always inspirational figures for young investors. One can make a good fortune in stock markets if you follow his investment ideas and principles.